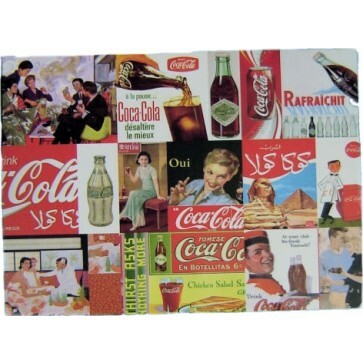 Coca-Cola Coke Notecard Set Collage Style includes 12 notecards: 4 different styles, 3 cards for each style. 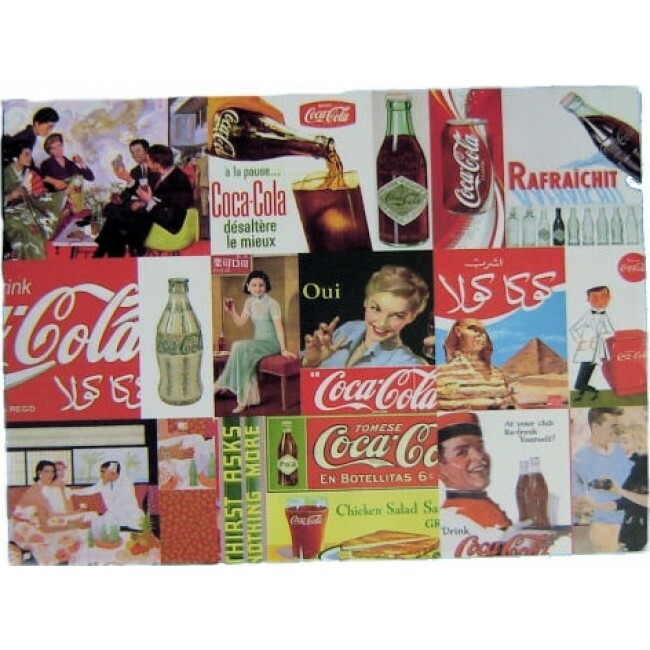 Twelve white envelopes are included with Coca-Cola logo printed. Each card measures 7"L x 4 3/4"W. The inset picture shows the four different styles placed close to each other.